Pune: The Maharashtra Real Estate Regulatory Authority tribunal is finally in place with the state government approving an appellate authority of three members. Retired high court judge Justice Indira Jain has been appointed its president. IAS officer S S Sandhu and Sumant Kolhe, associated with the judiciary earlier, have been appointed as members, administration/technical and judicial, respectively. Sandhu is slated to retire on June 30. He will become the member of the appellate tribunal after retirement. A search committee headed by Justice Shantanu Kemkar, additional chief secretary (housing) Sanjay Kumar and principal secretary of law and judiciary AM Jamadar was formed to set up the tribunal. 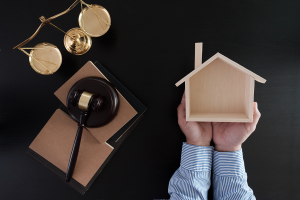 The permanent appellate tribunal will hear appeals against the orders passed by the Maharashtra Real Estate Regulatory Authority (MahaRERA). Homebuyers and developers can approach it for overruling an order given by the MahaRERA. 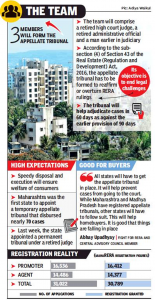 MahaRERA officials hailed the formation of the appellate tribunal, stating a permanent appellate authority was the need of the hour, as prescribed in the act. “We had a temporary one operating from the revenue tribunal. The formation of the permanent panel even after a year should help both consumers and developers,” said an official. MahaRERA has been operative from May 1, 2017. Till the permanent appellate authority was constituted, the temporary appellate tribunal disposed of nearly 58 cases. Officials believe that the permanent appellate tribunal will help prevent consumers and developers from approaching the high court. Deshpande had earlier written to the chief minister, requesting for speedy appointment of the appellate tribunal because many developers and consumers were approaching the high court. Credai president Shantilal Kataria said though the state was first in setting up MahaRERA and its website, the formation of the tribunal was pending. “This will truly help developers and consumers because it will not only ensure speedy disposal of cases but will be cost-effective,” he said. Several consumers feel while the appellate tribunal can address the cases, implementation of the orders issued by MahaRERA is more important.